It should come as no surprise to regular Ride Happy readers that Lisa's Mum, while waiting patiently for SBS to respond to her petition to replace Phil Liggett and Paul Sherwin on their Tour de France commentary team, has many things to fill her day. Being on call for the Tour Down Under, for example, means that she can never be far away from her computer and long-range binoculars. Should Lisa's Mum receive the call up, her fans deserve the benefit of knowing exactly how many Weet-Bix Rohan Dennis has for breakfast, or the brand of tea that Richie Porte buys in the supermarket. Mum is nothing if not meticulous in her research. A fan has recently written in to ask Lisa's Mum her insights on a typical CX rider's diet. The query is fortuitous in its timing, for Lisa's Mum is currently serving as adjunct professor at the School of Dietetics at New Hampshire University while completing her PhD in exercise metabolism of waffles in off-road cycling athletes. The PhD has taken slightly longer than anticipated on account of the School's strict ethics policy of using mice as subjects, meaning that Lisa's Mum spent the first two years of her studies teaching mice how to ride tiny cyclocross bicycles. However, with the bulk of her work now behind her, and a fleet of competent bike-riding mice, Lisa's Mum is well placed to advise on the ideal diet of CX riders. The diet of a typical 'cross rider can change depending on the season. Given that CX is a winter sport, the end of the racing season (often an opportunity for post-season blowout) also marks the start of bikini season. 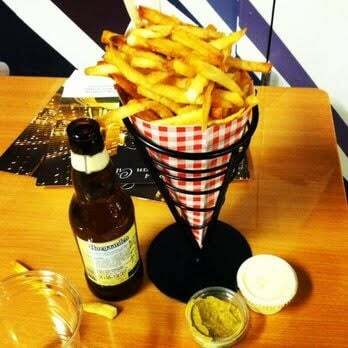 One cannot indulge in too many frites if one wishes to be bikini-ready by Summer. Many riders, therefore, choose to join road teams in the summertime so as to retain the right amount of peer pressure required to keen one's skinfolds low. 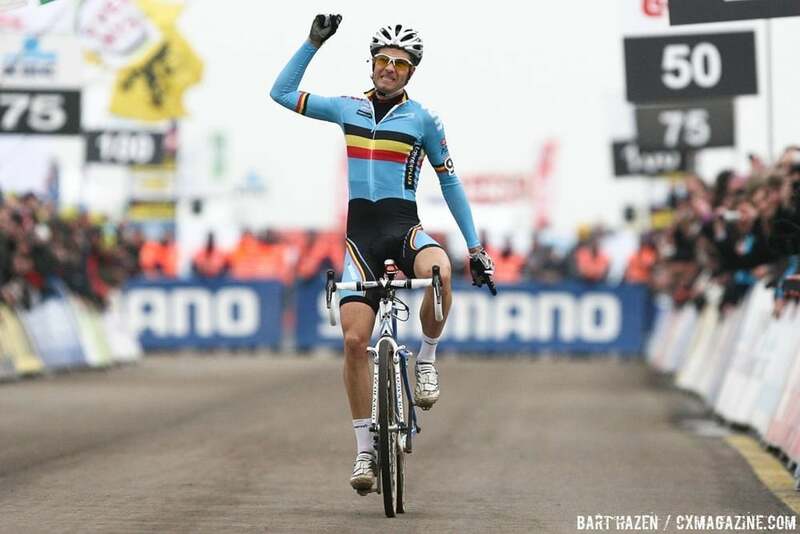 2014 CX world champion Zdenek Stybar, for example, recently announced that he would not be contesting the 2016 CX world championships, choosing instead to focus on his bikini ambitions with Etixx-QuickStep. The exception to this rule is Antipodean CX athletes, who craftily avoid summer by moving from southern to northern hemisphere as soon as the weather gets nice, thereby ensuring maximal frite gains. Leading into race season, a rider's diet varies depending on their season goals. Before Cross Vegas became a World Cup, riders targeting this race would focus specifically on beer-hand up repeats, which are broadly similar to hill repeats but with a bit more vomiting. Those focused on a strong performance at Koksjide incorporate a lot of sand-eating into their diet, particularly those expecting to fall outside the top 10. This is delicious. It just doesn't have your best interests at heart. 9am: Wake up. Espresso and muesli (the boring muesli, not the chocolate one). 10am: Consider riding. Wait for rain to clear while drinking espresso. 12pm: Ride a little bit. 2pm: Spaghetti (no cheese), recovery drink. Pangs of espresso regret. 6pm: Spaghetti (no cheese), de l'eau petillant, one segment of orange. 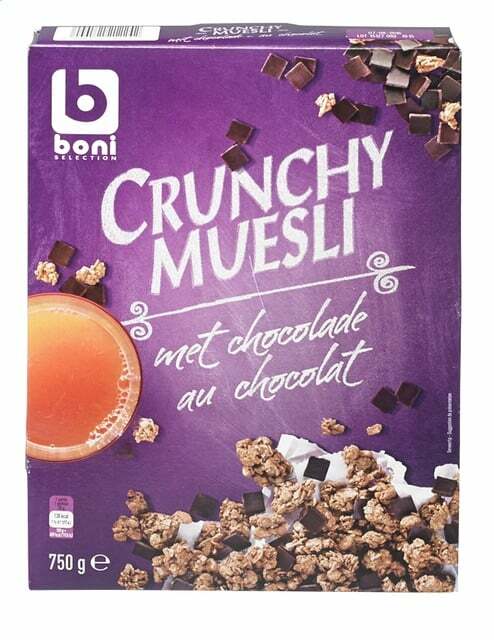 Breakfast (9am): Muesli met chocolade. Croissant with speculoos. 10am: Consider riding. Wait for rain to clear with spoon and speculoos in line of sight. 11am: Dispose of empty speculoos jar. 12pm: Ride a little bit (to waffle store). 2pm: Pick up some Belgian chocolate ('for the kids'). Eat chocolate on way home, dispose of wrappers under car seat next to empty speculoos jars. 6pm: Celebrate the end of the day with a couple of Belgian beers to wash away taste of chocolate. Kebab on way home. Extra cheese. For those riders, the days immediately leading into race season follow the Tyler Hamilton Grand Tour Weight Loss Plan (TM) of 6-hour rides followed by de l'eau petillant and 2x temazepam. Lisa's Mum has limited data on these riders, who when contacted for interview declined to respond to emails, answer the phone or admit they were home. Lisa's Mum hopes this answers your query, dear reader, and thank you for taking the time to write in with your question. Further insights will be published in Lisa's Mum's PhD thesis, entitled Waffles, waffle regret and Niels Albert, due out soon. Newer PostLet's get this party started!